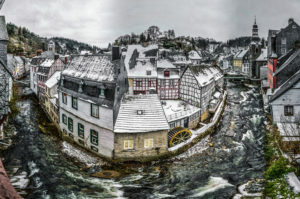 Your accommodation in the heart of the historic old town of Monschau. View from one of the windows to the Rur. On the right you see the Red House, on the left the Aukloster directly at the market place. Central than in Haus Stehlings your stay in Monschau cannot be. From most of the rooms you can see the most important sights of Monschau: The Red House. Our house is located at Stehlings, a narrow, short street with cobblestone, which ends at one end directly in front of Red House and at the other end at Marketplace. At the market place and also at the Red House you will find Cafés and Restaurants. The Fachwerkhaus itself is lovingly renovated and equipped with many old furniture. It is directly at the Rur. Behind the house begins a path, which leads you to Haller-Ruine. Enjoy the dreamy view of Monschau, or follow the Panoramaweg (panoramic way) for great views above the rooftops of our old city. Only a few minutes walk from Haus Stehlings we offer in Kutscherhaus and in Haus Barkhausen further holiday apartments. 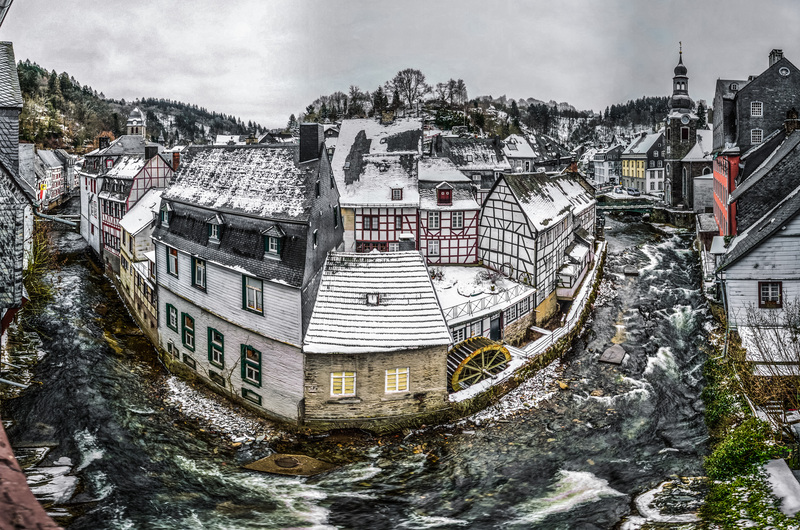 Our house is located in the middle of the traffic-calmed old town of Monschau. Unfortunately there are no parking possibilities directly at the house available. The nearest public parking lot, the Parkhaus Seidenfabrik, is about 300m away. Alternatively there is the parking garage "Aukloster" which is also 300m away. For stays from two nights the parking ticket of Monschau-Touristik is worthwhile. (c) 2018 Ferienhaus "Haus Stehlings" in Monschau - Johannes Zeller - Stehlings 8 - 52156 Monschau.